Small businesses in New York City will be faced with higher insurance fees when this new rule goes into effect. 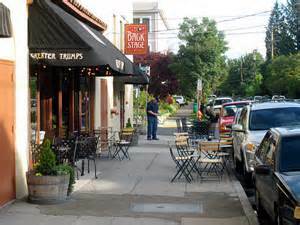 Subdivision (c) of section 2-57 of Title 6 of the Rules of the City of New York will be amended to require businesses with sidewalk cafes too carry at least one million dollars ($1,000,000) per occurrence and two million dollars ($2,000,000) aggregate, for as long as they have a valid business license. (i) the minimum amount of $100,000 for any one (1) person. (ii) the minimum amount of $300,000 for any one (1) accident. For property damage in the minimum amount of $25,000. Failure to comply with the new rule will result in revocation of the business license. Additionally, businesses will have to provide proof of insurance to the city in the form of a sworn statement from an insurance broker.